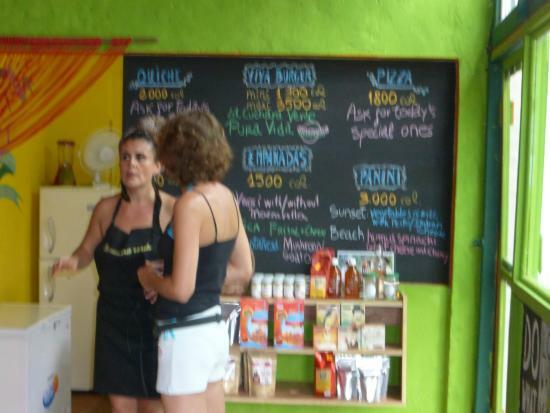 La Hoja Verde is a beautiful restaurant excelling in healthy, tasty veggies in Playa Flamingo; it also offers meaty foods. Given its quality foods, it is the main go-to spot in the area. If you are a vegetarian or a meat eater looking for excellent dishes at unbeatable prices, look no further; the place you need is it! The menu offers Beach sandwich, Nachos Libre, carrot cake, pesto quesadillas, wraps Gyro, Buddha Bowl, humus, cheese, smoothies, tabouli, quiche, and much more. 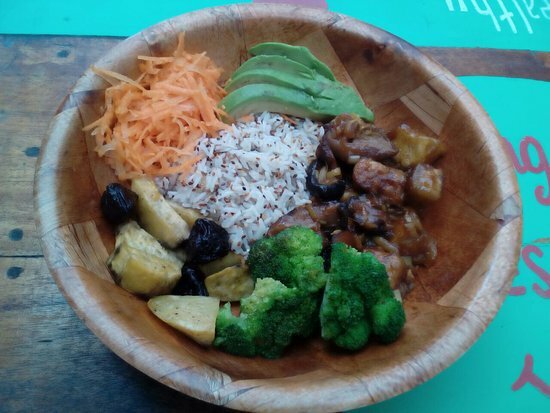 The food is wonderfully made with excellent ingredients; it is served in generous portions. So, you will be satisfied with one order. You might as well share it with your partner. The Beach Sandwich comes with chocolate chips; it is the best homemade bread you ever have. As you enjoy it, you won’t stop raving about it. Plus, you can ask for the banana bread. It is very flavorful. For breakfast, you can order the açaí bowl. As you savor it, it will certainly become your favorite dish. If you need more food, you still have great options; every food is unbeatable and memorable. The staff is friendly and helpful. After welcoming and greeting the clients, they hand the menu and help them choose their meals according to their palate. If they need meat, they can have at it; if they want the veggies, they can also get them. Thanks to the skilled connoisseur, the common stereotype that the veggies are bland does not apply to the dishes at this spot. As a matter of fact, some clients don’t realize that they are eating vegetables until they are told so; the only reason for this is the flavorful texture of the veggies. Therefore, the clients are happy with the food and thus keep returning for more. Located on the hill next to the small market, the spot looks attractive with a comfortable atmosphere. You can choose between sitting inside the restaurant and having meals on the patio; you will find out that eating on the patio is best thing you can do given the breeze.